The right campervan will help you in exploring the scenic beauty of South Island at your own pace. You can even consider hiring the campervan from a reliable South Island based campervan hire company like Camperco to avail a number of additional facilities like unlimited miles, 24hr roadside assistance, flexible pick up and drop off locations, and insurance. However, you must remember that a number of routine activities to keep the campervan clean and by getting rid of the waste. You have to empty your toilet waste frequently to keep the campervan clean and comfortable. However, the toilet waste must be emptied only at dump stations. 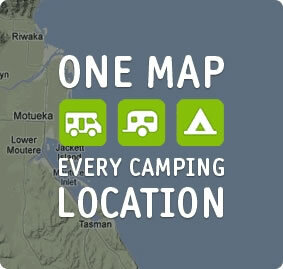 Most camping sites, car parks and public places marked as dump stations. The chemical toilet of your camper can be emptied into self-contained cassettes. The pillow-sized cassettes are designed specifically to last for a number of days. You can further empty the cassettes easily by opening the hatch on the side of the van, sliding the chemical cassette, and putting its end into the hole in the ground. So the campervan toilet waste can be emptied easily without having any impact on the surroundings. To keep the campervan clean, it is also important to empty waste water from the shower and sink on a daily basis. If the waste water is not emptied on a daily basis, your camper will get smelly. Further, the waste will increase the van’s weight and fuel consumption. The waste water can be dumped at the sites signposted as dump station. You can simply use the hose attached to the camper to empty the waste water into the ground. Based on the agreement with the campervan hire South Island company, there are chances that you have to change the gas bottles. Normally, a single bottle of gas is adequate to meet the needs. But many campervan hire companies require customers to fill the gas bottle while returning the vehicle. You can always consider filling the gas bottle at a garage to save money.